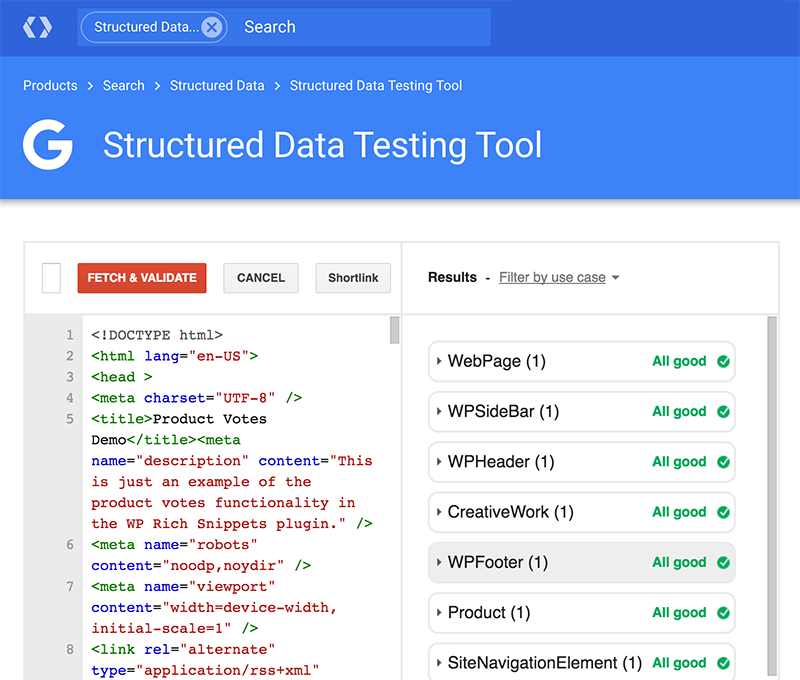 After you publish a new marked up entry or a review, the next step would be testing it in Google’s Structured Data Testing Tool and see if you’ve got a valid markup. This documentation page will explain to you how to test your page markups. Let’s say you have published a new entry, now you can fire the Structured Data Testing Tool page on your browser and use a direct link to your entry to test it. Now, you will be redirected to the Testing Tool and can see the results right away with only one click. If you see errors in the Structured Data Testing Tool, then you can follow the guidelines instructed by Google.